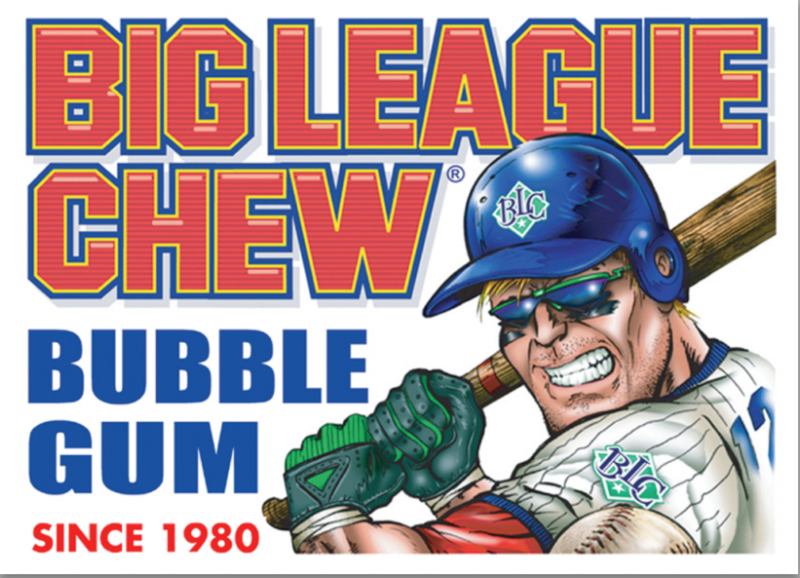 Thirty-five years ago, Big League Chew stepped up to the plate, and since that time it’s become the bubble gum of almost every person’s childhood. You can’t talk about baseball without chewing on a conversation about bubble gum. “Who goes to work and gets to chew copious amounts of gum during the day, except baseball players?” inventor of Big League Chew Rob Nelson asked. “From the littlest leagues up to the big leagues, everybody becomes a kid when they start chewing Big League Chew,” Nelson said. The story of how it started is on the back of every pouch. Sitting in a bullpen on a summer night long ago, Portland Mavericks left-hander Rob Nelson came up with a fun new bubble gum idea, shredded gum in a pouch. Nelson bought a cheap gum kit and made his first batch. Nelson’s minor league teammate, Jim Bouton, a former all-star for the Yankees, funded the project. They pitched the gum to Armurol, a subsidiary of Wrigley who sold the first pouch in 1980. Almost instantly, the brand was a home run, bringing in $18 million the first year. Wrigley sold Big League Chew in 2010 to an American gum company, shifting the operation from Mexico to upstate New York. “If you go to Akron, New York, it looks like they could’ve filmed ‘It’s A Wonderful Life’ there,” Nelson said. The sweet scent of gum lathers the neighborhood around Ford Gum and Machine Company, which started in 1913. You’ve probably paid a quarter for one of their gumballs. Now, Big League Chew is their best-known brand and biggest seller. A sheeter starts pulling the gum into thinner and thinner sheets. “Big League Chew, we think, is the best gum in terms of blowing a bubble, and that deals with the components of the gum base that comprise Big League Chew,” Stege said. Believe it or not, things do get gummed up in a gum factory, so a light dusting of corn starch is used as a lubricant. Then the gum cures and is fed into the shredder that does the actual shredding of the sheets of gum. Every day, about 100,000 pouches of Big League Chew is packaged in the factory, and they are proud to say it’s made in America. “I am a bubble blower, but it’ll take a while because actually to blow a good bubble you have to dissolve all the sugar first,” Stege said. The demographic for Big League Chew has grown. University of Wisconsin-Madison students recently completed a Rice Krispies cereal treat weighing more than 5-1/2 tons they hope will be entered into Guinness World Records. The treat, born out of a dorm room dare of sorts, measured 10 feet by 10 feet by 6 1/2-feet tall, with a preliminary weight of 11,327 pounds, according to Cream City Scale of Madison, which was on hand to weigh the dessert. The colossus made by combining Rice Krispies cereal, marshmallows and butter was more than 1,000 pounds heavier than a 10,314 pound Rice Krispies treat made in California in 2010 that is recognized by Guinness World Records. The students had been aiming for a 15,000 pound dessert and manufacturers had donated 9,000 pounds of marshmallows, 5,500 pounds of Rice Krispies and 900 pounds of butter for the effort. Danny Lerner, one of the organizers, said he was pleased with the results after challenges posed by raw weather and warping in the wooden mold used to make the treat. The dessert is being chopped up to raise money for Wisconsin charities. “We had an ambitious goal and we succeeded,” Lerner said, adding that extra cereal will be donated to food pantries or other organizations that will accept them. Kraft Foods announced recently it is revamping its family-friendly macaroni and cheese meal, removing synthetic colors and preservatives from the popular boxed dinner. The move comes at a time when Kraft is battling sluggish demand as consumers shift to brands that are perceived as healthier, including foods that are organic or less processed. The company has also been targeted by consumer advocacy groups, pressuring it to remove the artificial food dyes from its products. “We know parents want to feel good about the foods they eat and serve their families,” Galia said in an emailed statement about the changes to its macaroni and cheese product. Galia said the changes will be effective by January 2016 for “Original Kraft Macaroni & Cheese” in the United States. The company is also removing synthetic colors by the end of 2016 in Canada for its Kraft Dinner Original. In 2014, Kraft launched its Mac & Cheese Boxed Shapes with no synthetic colors, and in January of this year, the Northfield, Illinois-based company moved to no artificial preservatives for the Boxed Shapes product in the United States, the company said. Kraft also said it is replacing synthetic colors with those derived from natural sources, like paprika, annatto and turmeric. Kraft Foods is one of North America’s largest consumer packaged food and beverage companies, with annual revenues of more than $18 billion. Its brands include Capri Sun, JELL-O, Kool-Aid, Lunchables, Maxwell House and Oscar Mayer. From CBS News, Reuters and Fortune.